From bows in every colour, hard-to-find fascinators and hats to punk bracelets all done up in spikes, Pins and Bows by Navneet Kaur is your one-stop-shop for all your accessory needs. The glass doors give you just enough of a glimpse of all the treasures inside to draw you in. The first room (staying true to its name) features walls and walls of bows. From hair clips for girls of all ages to ties in various colours and prints to bow ties for your pooch, you have to take a slow 360 degree turn to take it all in. 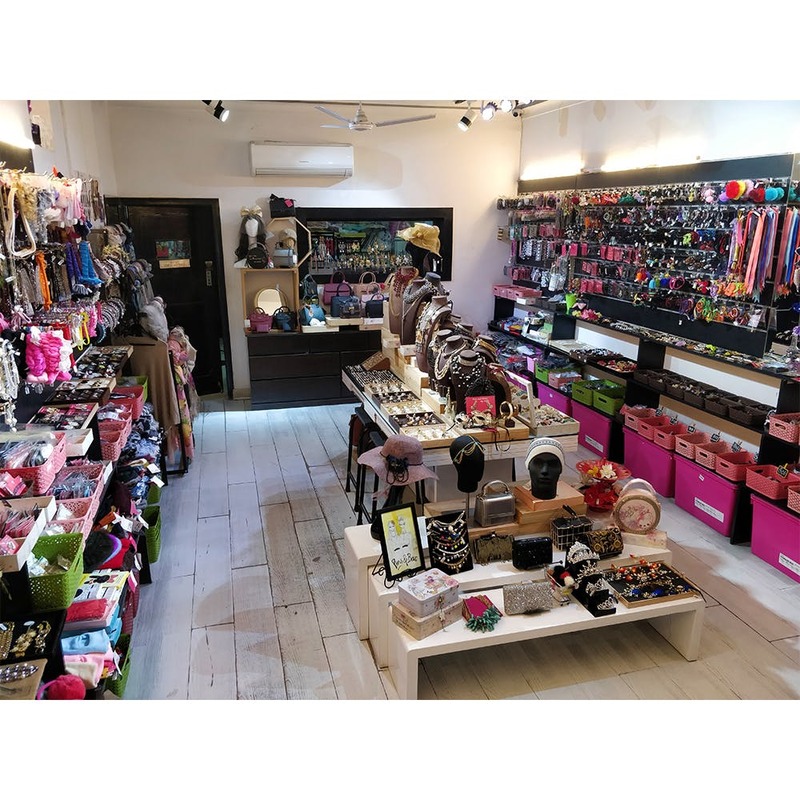 Three steps down, the second room focuses not just on hair accessories and scarves, but all types of jewellery, ranging from earrings to unusual hair accessories to necklaces in all kinds of fabric and metal. We even spotted many fascinators (we’re talking about the fancy flowery hats à la Kate Middleton) which you'd otherwise have trouble finding anywhere else in the city. Men, you can choose from plenty of bracelets, and there's also a wide range of checked, striped and printed chic bow ties (you can use 'em for your pups too!). Bow wow. A small room at the back is where the magic happens – if you want to modify existing products or mix and match the flower/bow from one to another, they’ll do it right there and then. Take note—on a crowded day, parking might be an issue near the store.